. Published on September 24, 2015 . 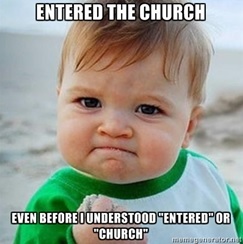 As the evangelical world in America seems rather excited about the Pope’s visit, I can’t help but remember how I felt when I discovered the Evangelicals and Catholics Together document (ECT). In 1995 the unthinkable happened. Well known evangelical pastors signed a document in which they joined themselves with Catholic priests and Philosophers, in an ecumenical fashion in order to promote the agreements over the disagreements that have plagued Protestants and Catholics for centuries dating back to the greats: Calvin, Luther, Zwingli and Knox. 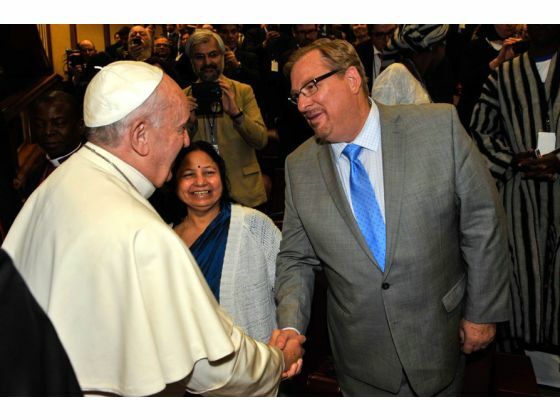 They agreed to no longer “proselytize” each other, agreeing that Catholics are indeed brothers, and sisters in Christ. This article was successful in its endeavor. The vast majority of Christians in America do not evangelize Catholics. Someone like me who has shed many tears over the deception of the Roman Catholic Church is seen as hateful. I totally understand the desire to believe people are saved. I also desperately want Roman Catholics to go to heaven, but we can’t let our desire for people to be saved or our desire to please men, lead us to cheer them on as they run towards hell. We must love them. When I first found out about the ECT, I was shocked. I was fresh off the boat and never in a million years did I imagine such confusion over what seemed to be such a clear issue to me and any Italian believer. Most evangelical churches in Italy, many of which we would never step foot into, recognize this truth. I wondered why there was such confusion in America, and I concluded that it must come down to the Easy-Belivism mentality. In America people believe that all you have to say is, “Jesus come into my heart”, and you are saved, and it doesn’t matter what you actually believe. The devil loves to comes as an angel of light. He loves to be a wolf in sheep’s clothing, and as Spurgeon said, he has created a masterpiece with the Roman Catholic Church. 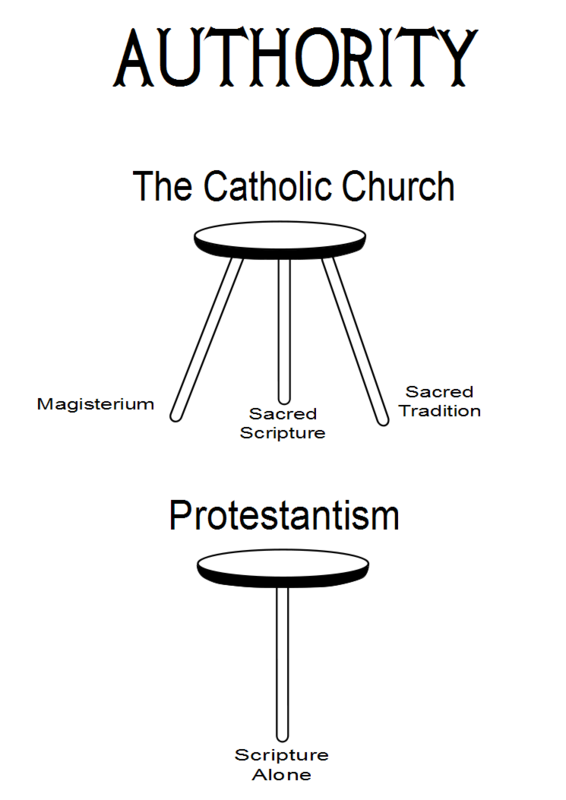 Here are some of the reasons protestants and Roman Catholics will never agree (based on the RCC’s teaching) and why ultimately a Born again Christian who attends a Roman Catholic Church must come out and join God’s true Church. Picture a company with three owners. They walk into a room they all have the same power. That’s what this is like in the RCC. And although Scripture should trump any false interpretation in the RCC, the Pope and his cardinals, as well as tradition have undermined Scripture for centuries. God has not given man the right to alter His word, The Holy Spirit is in charge of illuminating the mind of His children and cause them to understand the truth. 2 Timothy 3:16-17 tells us clearly that scripture is all we need to live a life that glorifies our Creator. The only Baptism the Roman Catholic Church does is infant Baptism. A baby cannot have faith. A baby cannot confess Jesus as Lord, he cannot believe the resurrection. Instead each human being at some point in their life must repent of their sin and trust in Jesus as savior and Lord (Romans 10:9). I wrote about this last week. In summary a system that is works-based will always minimize sin. Sin will be easily overcome and in Roman Catholicism it is overcome through confession. This language holds people captive and forces people to trust in an institution rather than a savior. It brings fear in the hearts of those who question its veracity, and ultimately it causes a barrier between attenders and the hearing of the true saving gospel. The Bible Says that Christ Died Once and For all (1 Peter 3:18). He does not need to continue dying like the animals in the Old Testament sacrificial system. He is the Lamb of God who takes away the sin of the world. The only reason he would need to continue dying would be if we needed our sins re-forgiven each week, or if we were trying to earn our salvation. In the Roman Catholic Church Jesus Christ is still on the cross and every week the Father crushes Him over and over again. Ultimately, as we see so clearly written by their own fingers, they believe that you must merit God’s forgiveness. It is not a free gift (Eph. 2:8-9). It is something that you must earn, and anyone who says they are on their way to heaven without having earned it over the course of many years, is presumptuous and disillusioned. The Bible says in 1 John 5:13, “I have written these things so that you may know that you have eternal life”. It’s not something we must earn but it is a free gift. And we can have confidence in this life that we will be with Him the moment we die. Our heart goes out to people stuck in this false system. Our desire is not to condemn but to bring the truth to these people. Sometimes you have to let people know they are lost before showing them how they can be found. If you wish to learn more about how to evangelize Roman Catholics here are 10 books I have benefited from to help you do just that.